1) Tsukamoto, K. et al. 2009, Positive buoyancey in eel leptocephali: an adaptation for life in the ocean surface layer, Mar. Biol, 156, 835-846. 2) Sasai, S. et al. 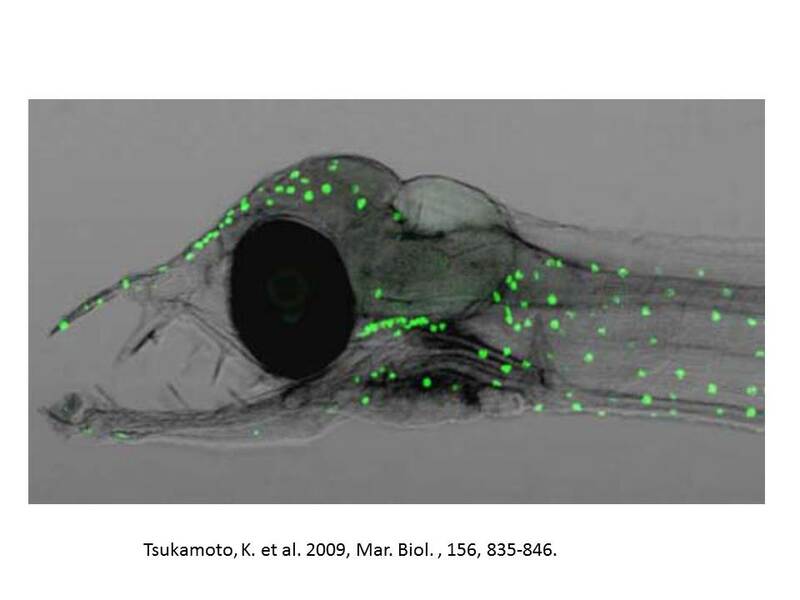 1998, Morphological alterration in two types of gill chloride cells in Japanese eels (Aguilla japonica) during catadromous migration, Can J. Zoo, 76, 1480-1487.